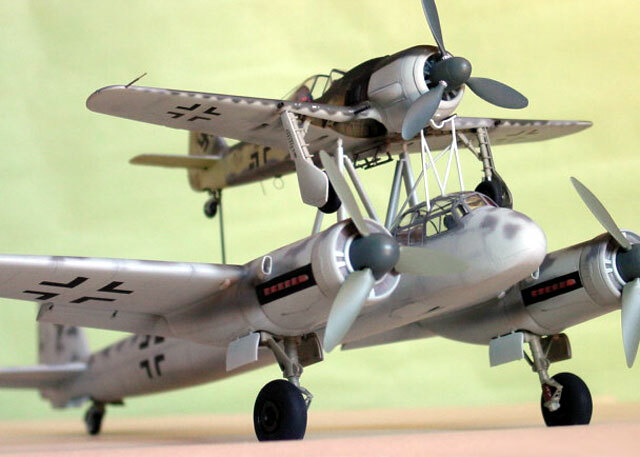 Here is my 1/48 scale Junkers Ju 88G and Fw 190 Mistel combination from Dragon. 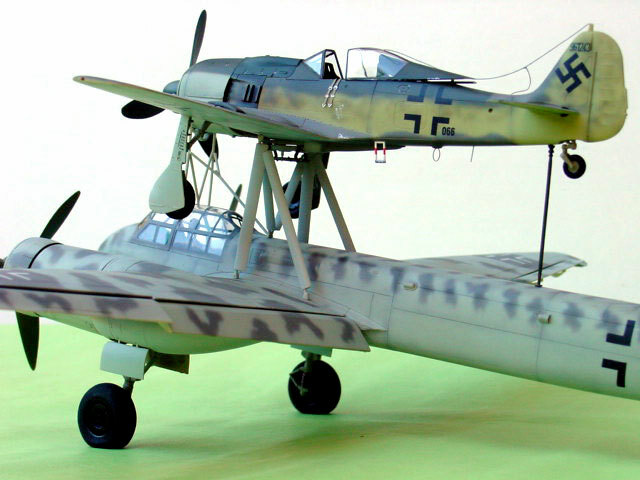 I have added the fuselage extension to the Ju 88 to transform it to the G-10 variant. This Mistel version is known as the S3c. 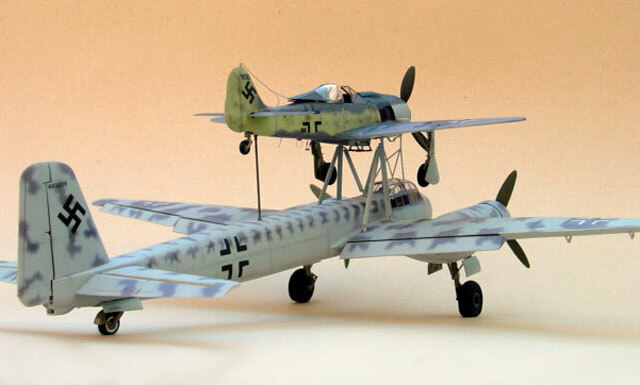 Otherwise, the kits were built almost straight from the box. I added only seat belts, antennas, dropped flaps and flattened tires. 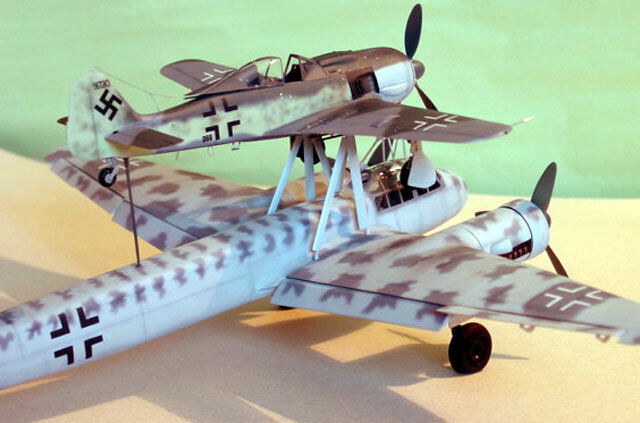 My main focus was on the camouflage schemes. 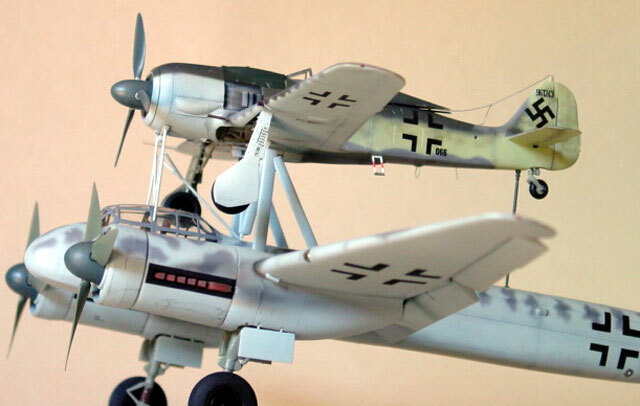 I painted my Ju 88G-10 in the typical nightfighter scheme of this long range plane -overall RLM 75 Gray Violet, and then oversprayed using RLM 76 Light Blue to encircle the mottles. I did not use RLM 83 as suggested on page 132 of The Official Monogram Guide, which includes a very good photo of this machine. 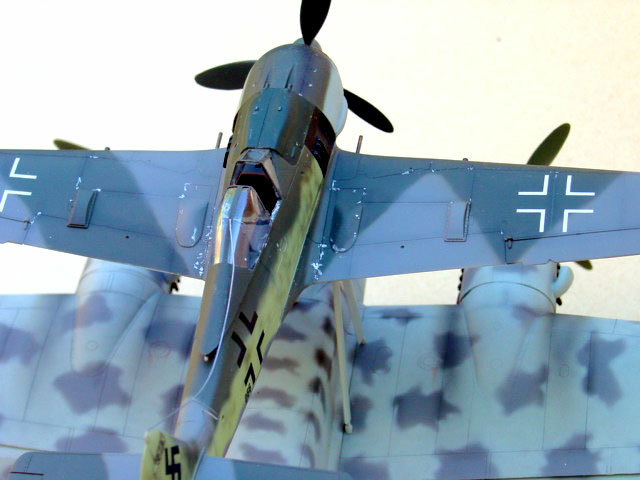 I next painted the Fw 190 in a representative camouflage of the last days of the war, pattern of RLM 83 Dark Green, RLM 75 Gray Violet over sky green or green gray fuselage sides with the lower parts of the wings in 76. The engine cowling of this aircraft seems to be from a different machine - it appears to be painted in RLM 82 and RLM 76. 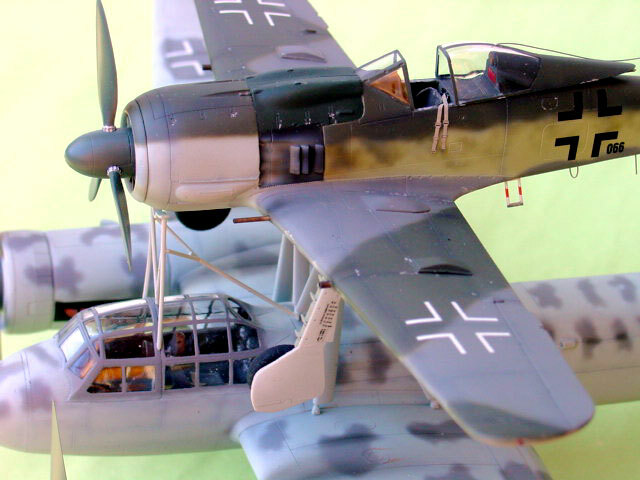 Careful examination of the color photo of page 132 will reveal the gun cowling in contrast with the 70 black green of the propellers blades. 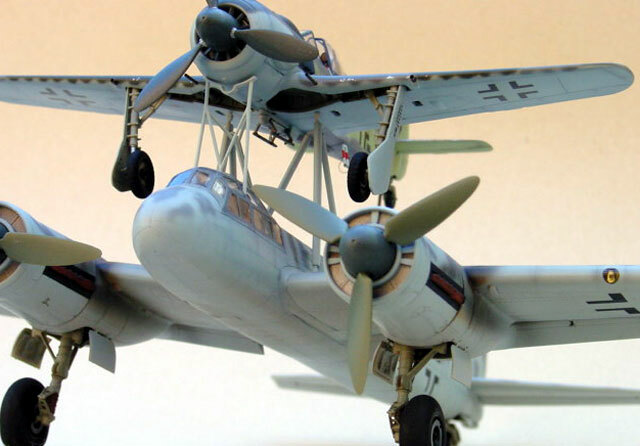 Also, the lower fuselage is in clear contrast with the 75 gray of the right stabilizer and forms a wavy line along the fuselage side. I used Testors enamels 76, 75, 70, 71, 02 and changed 82 for Marine Corps Green and Sky Type S for 84. 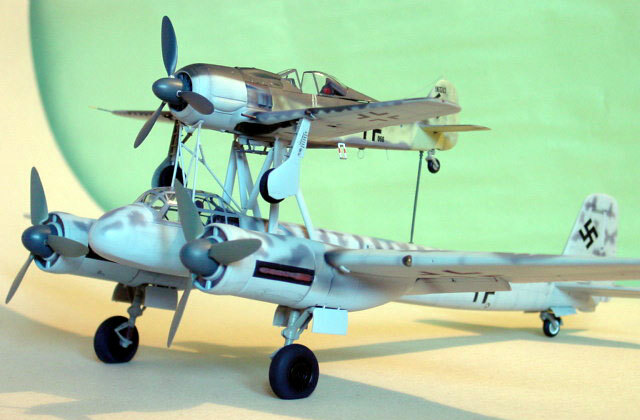 My main reference was The Official Monogram Luftwaffe Painting Guide page 132; Me 262 Volume Two ( Richard Creek ,Classic Publications) page 351, and the Eagle Editions Luftwaffe Paint Chart.